← Top Destination on the Rise! Every year for their World’s Best Awards survey, T+L asks readers to weigh in on travel experiences around the globe. This to share their opinions on the top cities, islands, cruise ships, spas, airlines, and more. Readers rated islands according to their activities and sights, natural attractions and beaches, food, friendliness, and overall value. No matter that reaching them requires a generous commitment, fiscally and temporally. For the second year in a row, the Philippine paradise Palawan wins first place as the best island in the world, thanks to its hidden lagoons, teeming ocean life, and rustic-luxe resorts. 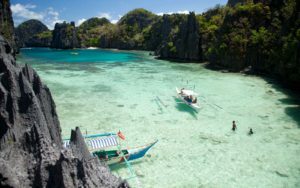 There’s nothing quite like immersing yourself in the natural wonders of this Philippine archipelago, which many of our readers described as “rustic,” “romantic,” “affordable,” and “relaxing.” As one fan wrote, “It’s the single most beautiful place on earth. ” Palawan, which consists of an eponymous main island, in addition to some 1,800 surrounding islets and island outposts, is a repeat winner on the list, first scoring the No. 1 spot in 2013. And with its verdant mountains, a five-mile-long underground river, limestone caves, and spectacular scuba diving, its appeal is as clear as its turquoise waters. 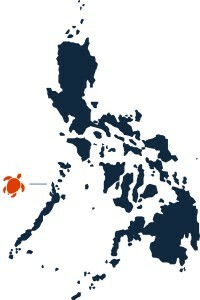 This entry was posted in Duli Beach, Palawan, Philippines. Bookmark the permalink.